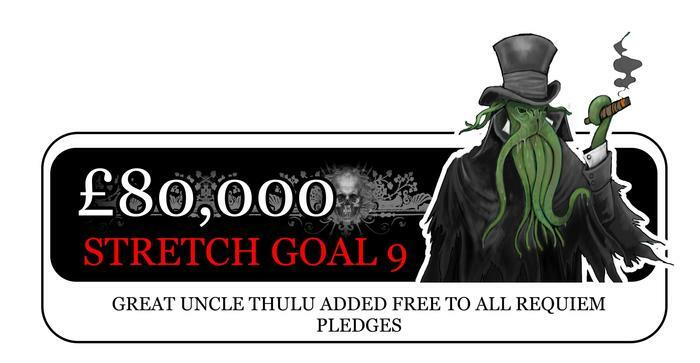 Home » Crowdfunding » Empire of the Dead: Requiem – the best stretch goal yet – Great Uncle Thulu! Empire of the Dead: Requiem – the best stretch goal yet – Great Uncle Thulu! As I mentioned yesterday, the Empire of the Dead: Requiem kickstarter project is into it’s last couple of days. Throughout the project, there has been a roadmap of stretch goals available, including several free miniatures added at certain points. One has been tantlising us ever since it first appeared – Great Uncle Thulu. I think you will agree that this is just superb, and suddenly adds a whole new twist and dimension of possibilities to the game.